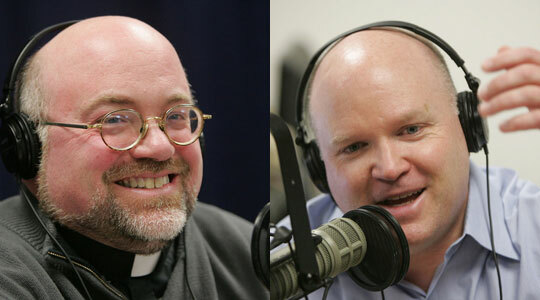 Summary of today’s show: Scot Landry and Fr. Chip Hines, the pastor of two parishes in Wrentham and Plainville, discuss the progress of the pastoral planning consultations in the Archdiocese, what the current proposals are, and the rationale behind them. They also discuss this upcoming Sunday’s Gospel reading. 1st segment: Scot welcomed Fr. Chip back to the show. Fr. Chip is now pastor of two parishes and he’s been busy with his parochial vicar on retreat. They will be discussing the progress of pastoral planning consultations, especially Phase 2, and how it’s being accepted in the Archdiocese. 2nd segment: Scot said the Pastoral Planning consultation kicked off formally in this effort to put a recommendation before groups in order to get feedback to refine a final recommendation for Cardinal Sean later this year. It started with a convocation of priests in December, sharing principles. Phase 2 was proposing parish groupings. Phase 3 is sharing it with various interest groups. Scot said back in December heard the principles which is to provide more resources for parishes and help them thrive and grow by banding together. Fr. Chip said he was interested by the proposal because it’s a unique way of going about this kind of work they are thinking outside the box. He was already pastoring two parishes so he’s on the front line of all this. He thinks there’s been a generally positive response from priests. Some may be concerned at what it means exactly, but he thinks the archdiocese is taking those concerns into account. Secondly, people are worried what it means for the jobs of those who work in parishes. Scot said some of what was share in the Phase 1 consultation was that 50 of the 291 parishes already share a pastor with another parish. Msgr. Bill Fay, co-chair of the pastoral planning commission, said it hasn’t been done looking at the macro situation of the Archdiocese, looking at the situation of the entire archdiocese. We want to get ahead of the shrinking of the available priests over the next five years. Fr. Chip said he sits on the priest personnel board and when they make new assignments they often consider whether the new pastor can take of more than one parish. That’s good, but it’s not the culture of planning that Cardinal Seán wants. Scot said Cardinal Seán is trying to make that it ties to the strategic priorities he’s put in place, including strengthening parishes as primary communities of faith. Scot said the commission on December 5 said the proposal is not a proposal to close or merge parishes. Scot said that’s been often misunderstood in secular media. It’s also not a proposal to close churches within parishes or to restructure parishes. It’s a proposal to reorganize and regroup parish staffing and how priests are organized to serve parishes. Scot said back in the 1950s parishes had pastors who already served 20 years in parishes, a senior curate, a lot of junior curates, a lot of religious sisters and then a couple of lay employees, like a maintenance man. Now many of the parish staff have become lay professionals. Scot said even if nothing was done, most priests would be pastors of more than one parish in five years. Fr. Chip said the Archdiocese is very big in the numbers of people and the number of resources, including buildings. Scot said the reason for Pastoral Service Teams is it consolidates in order to have one pastor with one team for the collaborative. Fr. Chip said the process will cause some angst, but once we’re through it, this will be great for parishes. It’s also important to note the increasing professional of parish staff members. They emphasized that this is still a proposal. One of the proposals is the Pastoral Collaborative with a Pastoral Service Team. The collaborative has one pastor, one parochial vicar, one finance council, one pastoral council. The Pastoral Service Teams consolidate services. For example, they can bring together three different DREs and they would become DRE for children, one for teens and one for adults. No one necessarily has to lose their job. This means they can focus on expanding services. It can also helps pastors move beyond the focus on administrative trivia to be free for evangelization. Key questions include how the pastors will be chosen for the new PSTs. Some criticisms have been aired in the media. On the choosing of parish staffs, people are assuming a lot of people losing their jobs, but people will have the opportunity to expand their roles. Geographic proximity. In addition to being in the same town, they also considered sharing school systems. Combined weekly offertory of $500,000 per year. They’re looking for income for mission, not maintenance. Sufficient other income to cover remaining operating expenses. An average of 1,600 Mass attendees per weekend in the pastoral collaborative. 1,600 was chosen as the basis for parish size based on how many a pastor can serve. Current sacramental index and what kinds of sacraments involved. They discussed the unique situation of St. Paul, Cambridge wit ha parish, the Harvard Catholic student center, and the choir school so it serves essentially three different parishes. Another parish recommended as a standalone parish is St. Bonaventure in Plymouth. The town is so big and growing so fast that it makes sense that for current and projected demographics stays as a standalone parish. Most of the groupings are 2s and 3s. Some are as many as four. Eleven parishes are recommended to standalone. Fr. Chip’s two parishes are already in the proposed grouping. They will be having meetings in any case to discuss the pastoral planning process, involving as many people as possible. Even in this cluster, they will see a lot of change. They currently have two pastoral councils, two finance councils, and two staffs. Fr. Chip said there will be growing pains. He has two deacons and their roles will continue to evolve. They will have to sit down as a staff and understand how to make this work. They’ve already changed the Mass schedule so that one priest could do all the Sunday Masses if necessary. They have two 8am Masses and two 4pm Masses. They moved one Mass, cancelled another and tweaked others. A lot of the people at the parish that lost the 4pm Mass went to the other parish and now the moved Mass now has a lot more younger families coming at 5:30. Scot said there is a fear that people will stop going to Mass when you changed the schedule. Fr. Chip said it doesn’t look like he’s lost people, but just that they’re going to different parishes. He does tell them they can put their envelopes for the home parish in the other parish’s collection. Change is hard and some are upset, but that’s a small group. Most people understand we have to change. Scot said he hopes we all step back despite the changes and see how blessed we are by the number of parishes and churches and priests and deacons and religious. It’s awesome we can find a Mass within about 20 minutes in any half hour of the day on Sunday. There are people in other parts of the country who have to drive an hour to get to one possible Sunday Mass. Fr. Chip said he hopes that more people are evangelized and we end up breaking up the collaboratives eventually because they are full of people and priests. 4th segment: Now as we do every week at this time, we will consider the Mass readings for this Sunday, specifically the Gospel reading. This is the last Sunday before the beginning of Lent. it became known that he was at home. and he preached the word to them. They came bringing to him a paralytic carried by four men. they opened up the roof above him. they let down the mat on which the paralytic was lying. “Why does this man speak that way? He is blaspheming. so he said, “Why are you thinking such things in your hearts? and went away in the sight of everyone. Scot recalled last week’s Gospel in which Jesus cures a leper. Before curing this man, he cures the man’s soul by taking away his sins. Jesus is saying if you want to be healed, it’s more important to be healed of your sins before seeking healing for your soul. Lent is a good time to clean out that junk from our souls. Fr. Chip said sin paralyzes us and makes us stiff. God wants us to be animated in what we do.We need to look at ourselves and ask what’s holding me back, keeping me less inclined from doing something good? Scot said Jesus is surrounded by a large crowd and people who want to see Jesus do some crazy things: Hanging from trees, risking death. In this case, they open the roof and Jesus sees it for the desperate love that it is. Some people responded negatively though. They accuse Jesus of blaspheming even though the fruits of Jesus’ ministry were so clear. Jesus wants to cure their blindness that prevents them from seeing how God loves them. Fr. Chip said we still have those among us who are saying those same things. Scot said the leper last week didn’t do what Jesus told him and this paralytic does what Jesus told him to do: Pick up your mat and go home.